architecture, Germany, landscape, puzzle. Bookmark. I just built that puzzle with my husband and we are missing a piece of the puzzle I want my money back!!! Janie, I know how frustrating that can be. 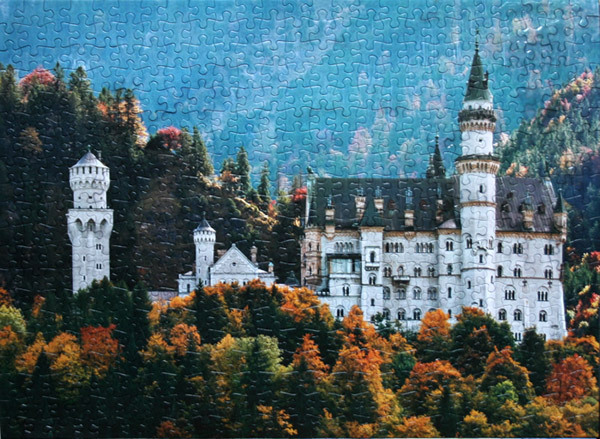 I know some companies will send you a missing piece (assuming you bought the puzzle new) if you mail them a request and specify which one is missing. Not sure what The Canadian Group’s policy is on that. I have never tried as most puzzles with missing pieces I have are second hand.